NOTE: This is Part 2 in our ongoing series documenting the history of our company. If you’re just joining us, be sure to read Part 1. 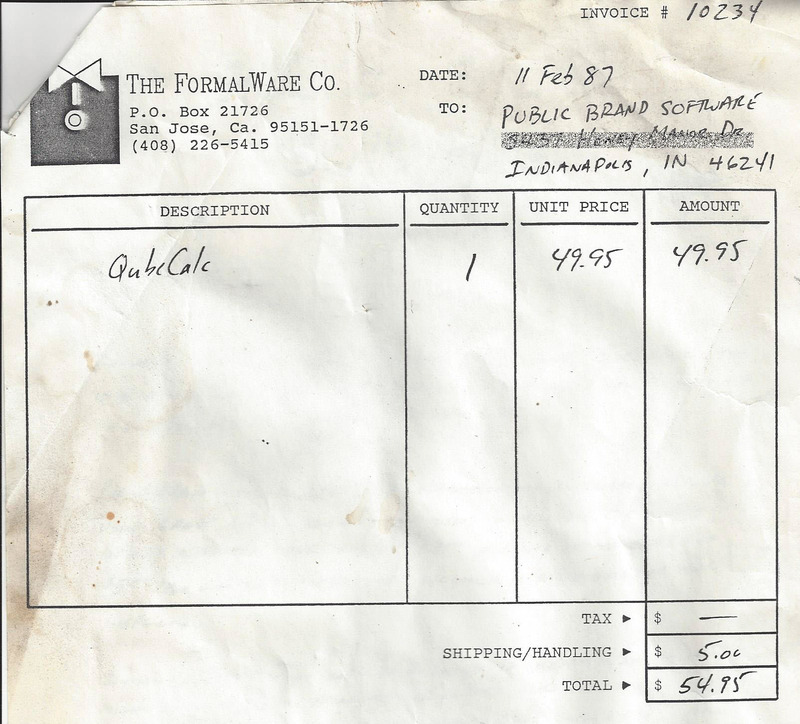 Now that I had both a company and a product, all I needed to do was figure out how to sell software. My engineering degree certainly hadn’t taught me that, and I knew that selling a spreadsheet in the world of Lotus 123 was way beyond my budget. So I decided to try out a new way of selling called “shareware”. This was a newly emerging way to sell software where you made your program free to share and distribute, but asked customers to pay for it if they liked and continued to use it. 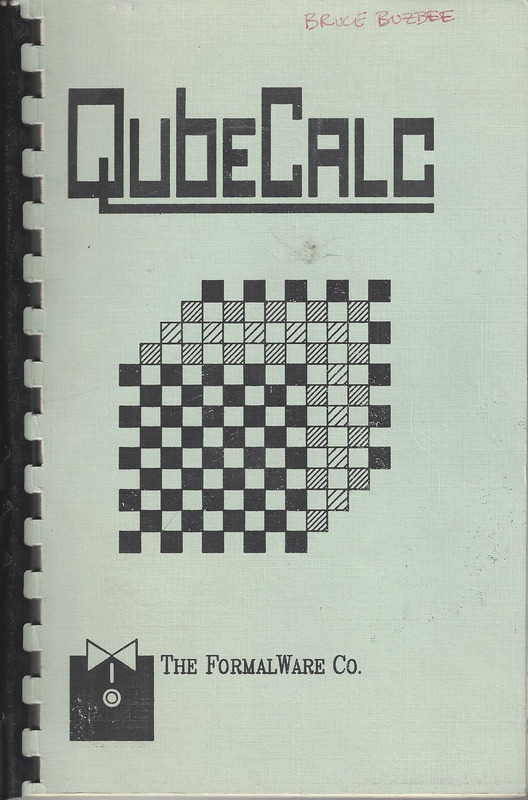 I sent copies of QubeCalc out to all the shareware distributors, including the big ones like PC-SIG, Public Software Library (PSL), and Public Brand Software. Many PC Users groups also had shareware libraries that were happy to add my program. And then there were the bulletin board systems (BBS). This was before the invention of the World Wide Web (WWW), and if you wanted to download a program, you did it from a dial up BBS. My phone bill became my biggest advertising expense, uploading QubeCalc to bulletin boards all over the country. I would spend hours uploading, and was up late every night because long distance charges were much cheaper after 11pm. Despite all the time and effort I put into trying to start a software company, it was a good thing I still had my job as an engineer. From the time I started the company, it was almost 4 months before we had our first sale. And it happened to be to one of the shareware distributors we had sent a copy to months earlier. On this copy of the invoice from our first sale, my biggest dilemma was what invoice number to start with. I didn’t want to use 10000 because I didn’t want them to know we hadn’t sold a copy yet, and 12345 seemed a little too obvious as well. So I finally used 10234 as the first number in our order system. For obvious reasons I didn’t have thousands of manuals sitting on a palette, so they received a glorious hand bound manual just like this one I made the same day (except that theirs didn’t have my name written on the cover). As you can tell, my artistic abilities were (and continue to be) unparalleled. Now that we had our first sale, we were ready for the big time. Sales started slowly coming in for QubeCalc, and I had just about finished writing our second program InstaCalc. InstaCalc was also a spreadsheet program, but it had the special ability to “terminate and stay resident”. Younger computer users will never be able to appreciate the magic of a “TSR” program. In those old DOS days (before Windows), a computer could only run one program at a time. If you wanted to run a different program you had to completely exit the program you were in, and start the new program. If you wanted to go back to the first program, you had to completely exit and then start the other one back up. There was no clicking to switch between programs… in fact there was no clicking at all since most computers didn’t even have a mouse. InstaCalc would load itself into memory and then “terminate”, but it didn’t actually remove itself from memory (it “stayed resident”). So you could then start up another program (like your word processor), and InstaCalc would wait in the background until you pressed its “hot-key”, and it would then pop up over the top of your other program. When you exited InstaCalc it would switch right back to your other program. It was like magic. 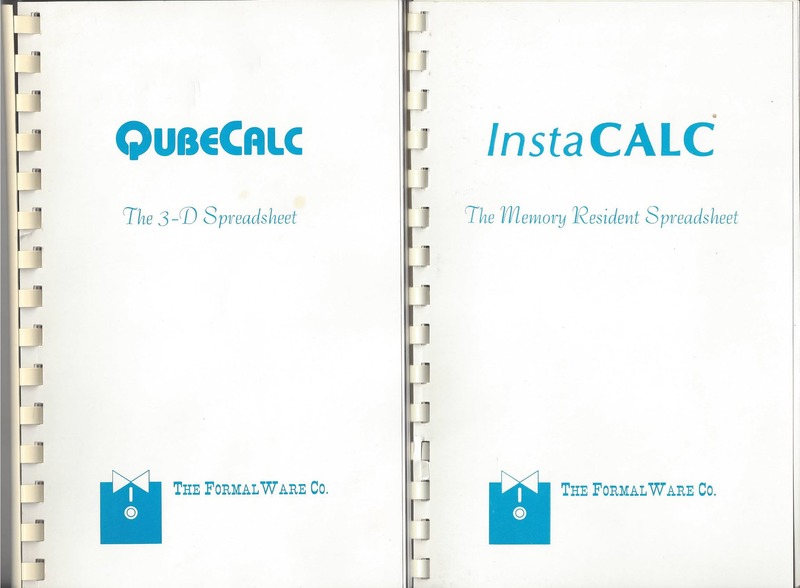 And with the release of InstaCalc in early 1987, we doubled our product offerings, and upgraded our manuals (no more laser printer covers for us). I was still gainfully employed as an engineer, and our sales weren’t enough to make me want to give that up. But my wife and I did talk about “what ifs”. Little did we know that in less than 6 months we would be trying to rely on this software company to completely provide for our small family. NEXT: A move, a name change, and a big award! If my wife and I weren’t history buffs, we probably wouldn’t be doing genealogy. We get as much interest out of the history part as we do in all of the discoveries we make using Roots Magic. So your company history has grabbed our interest. We are long time users and really like Roots Magic. Thanks for both. Keep the articles coming. I started into the computer world on a TI99-4A. Which I expanded to a large monster for years. One of my first non-cartridge programs was call TI Roots (I think). The next genealogy program I upgraded to was Called Family Origins. (Version 3 I believe). I have been with it up through version 10, then with Roots Magic since then. I had the opportunity to to compare with many others but never saw the need to stray from what I was comfortable with. So far I am pleased with my decisions along the way. Looking forward to more history chapters from the folks at Roots Magic. I started my computer journey with a TI99-4A just as Bill Overton did mainly so my youngest son could be up with the rest or ahead of the rest of his classmates in school. My mother got me started in the genealogy part of it as she had a list of cousins, aunt and uncles in a little notebook. I had by this time graduated to the Commodore 64 then a Radio Shack DOS computer with built in floppy drives. I believe I first used a shareware program called Brothers Keeper as my first genealogy program. What got me partially hooked was when I went to a LDS Family History Center and while looking for information on my family I discovered several generations and family members on my wife’s family. 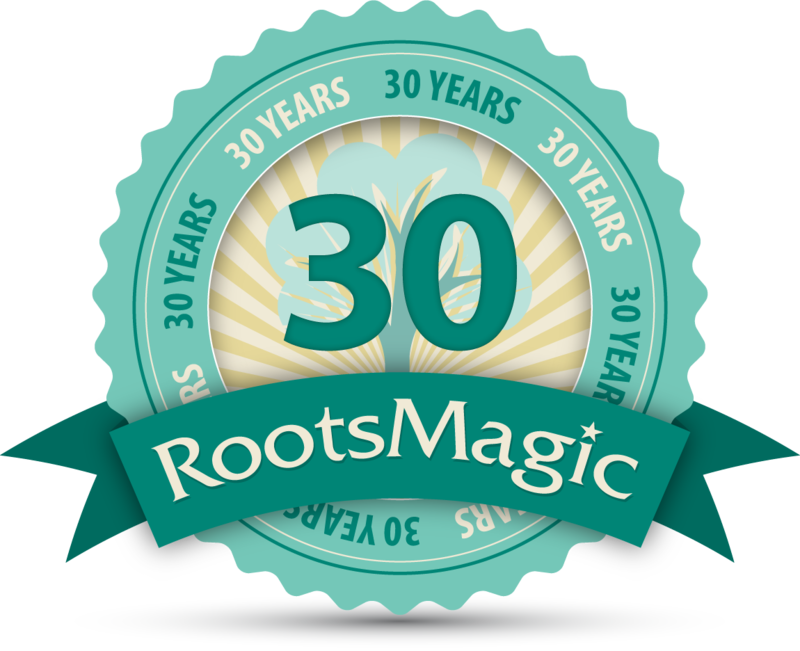 I next graduated to the Family Tree program and after meeting with a fellow genealogist near our hometown was steered to Roots Magic and have been keeping both programs going since. 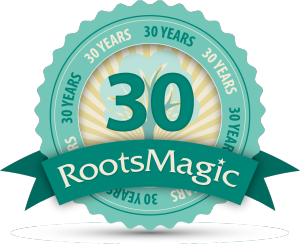 I like Roots Magic the best and since Family Tree has disappeared except for a Mac version I use Roots Magic almost all the time. Looking forward to many more enjoyable hours with Roots Magic. It has taken first place over my love of photography. I started my computer journey on a tube machine with the old screen door and doughnut memory, where half the program was wired on a plug in board and the machine filled a very large room. I remember a talk were the speaker prophesied that the day would come when you could fit that computer in a shoe box and it would have more power. Boy am I GLAD he was right! We have come a long way. All I can say is I love your genealogy program. How soon we forget how far we have come computer wise in not that many years. Thanks for the reminder where we have been.